“When life gives you lemons, make lemonade,” or so the old adage goes. Well, when life gives you three unexpected days in Italy, you rent a Mercedes convertible (not by choice), book an incredible hotel in the countryside, and set off on a glorious adventure. Venice was scheduled to be the grand finale to our month in Europe, but in the aftermath of Hurricane Irma, St. Maarten’s airport was a disaster zone, not accepting any incoming flights. We held out hope that our flight home on October 1st with Air France would be a go, but it was cancelled last minute. Instead, we booked a flight out on American Airlines on the 4th from Milan, giving us three days in Italy that we hadn’t anticipated. After two days in Venice, we said our goodbyes to the city and headed to Venice’s Piazzale Roma to rent a car. You guys, we were finally doing it. We were being spontaneous! We were off on an unplanned adventure. How great this was to book a hotel last minute and set off to rent a car without having pre-booked anything. This is the spontaneity and excitement people talked about! My hopes were high when we pulled up to the stretch of car rentals and I was excited for this extra time in Italy. Wait… (excitement beginning to fade now), what was this line, dozens of people deep? This couldn’t possibly be to rent a car, right? Oh yes. Yes, it was the line to pick up rental cars. Out of a half-dozen rental agencies, only Avis had cars left from what we were hearing, but we weren’t sure how many they even had at this point. Many of the people were in line waiting to just collect a pre-booked vehicle but there were a few ahead of us that were waiting and hoping that there were still unclaimed cars available. Oy. Who ever said that this spontaneity thing was a good idea anyway?! When we finally made it to the front of the line, we got the news: there were cars available, but automatics were a problem (manuals only at this point). Alright, I’m putting this in writing and ashamedly admitting that I don’t know how to drive a stick shift… in my defense, Scott doesn’t either so it makes us exceptionally useless as a couple when it comes to car rentals. Georgio, the gentleman at the counter, could see the pain and stress in our eyes and went out of his way to help. He dug through keys of freshly returned cars to see if anything – just a single vehicle – was an automatic. We went in wanting something inexpensive, maybe a cramped Fiat, but at this point anything would work. We looked on as he grabbed a paper bag and pulled out a set of keys. Would that be okay?! Mister, you’ve just told us that you’ve saved us by somehow finding an automatic, and now you’re telling us that we get to act way cooler than we are by zipping around Northern Italy in a Mercedes convertible. Knowing that we wanted a home base somewhere between Venice and Milan, we were fairly set on heading to Lake Como with our extra time. Weather was telling us to pick a different locale though. It was slightly overcast and the temps were beginning to drop in early October; that fall weather that makes you want to cozy on up somewhere warm and homey, wrapped in a blanket near a fireplace. We refocused our efforts and instead looked for a hotel to be our anchor point rather than the destination itself. We wanted a charming country home, something tucked away in a smaller town that would allow us to steep in quietness and the little luxuries of a well-appointed boutique hotel. Enter L’Albereta, the exact hotel that we’d unknowingly been dreaming of. Charming with service par excellence, it was a perfect enclave that seemed to cater to in-the-know Italians. Set near Lago d’Iseo in Brescia, it’s one of Italy’s lesser known lake destinations for international visitors. Many of us first think of Lake Como, then of Lake Garda… Lake Iseo rarely even hits people’s radar, and we fell into it by serendipitous happenstance. We checked in and immediately knew we made the right decision. Set in the tiny town of Erbusco in the vineyards of Franciacorta, Italy’s exclusive sparkling wine region (Italy’s equivalent of champagne; a different method from Prosecco, the country’s more affordable counterpart). The weather was grey when we arrived, which only made us all the more excited to cozy on up with a glass of red wine in the comfort of our new home for the next few nights. During three nights there, we ate at the hotel every night. There are a few restaurants nearby off property, but in true Relais & Chateaux fashion, the outlets are exceptional here, with a mid-casual pizza restaurant alongside of a great bistro, plus a Michelin-starred fine dining establishment. Before each meal, we sat outside on the deck overlooking Lake Iseo, with our aperitif in hand, blankets around us, and stars above. Erbusco sits a short drive from the banks of Lago d’Iseo in Northern Italy. We had driven past Lake Garda on our journey from Venice to Milan, but Garda is substantially bigger than Iseo. If you’re staying in Erbusco, a drive along the lake and a visit to Monte Isola, the island in the center, is practically mandatory. With our top dropped (I mean, if we were going to have to pay for a convertible, we were going to make use of it! ), we headed out to explore some of the towns that dot the lakeside. The most sizable town there is the town of Iseo, which took us less than an hour to walk through on the quiet day that we visited. Heading up to Sulzano granted us ferry access for a quick 5 minute ride from the mainland to Monte Isola, where we set off to explore and have lunch on the waterfront. We purchased ferry tickets from a convenience store near the dock. Our tickets were about €4 per person, though pricing will vary a bit depending on your point of embarkation (anywhere from €2 to €5.50 per ticket). Monte Isola is a tiny little droplet of land in the middle of the lake, but is home to a number of restaurants and a surprising number of residents that call the island home. After strolling part of the island’s perimeter, we sat at Hosteria Milago to have lunch plus a bottle of bubbly with a view. If you’re headed to Monte Isola, allot 2 – 3 hours to enjoy lunch and a quick stroll unless you’re set on hiking or heading further afield. The ferries leave in regular intervals throughout the day (every half hour or so), so it’s never too long to catch a ride back to shore. We had anticipated spending much longer driving around the towns on Lago d’Iseo but the towns were much sleepier than we anticipated. Being there on a Monday, we discovered that many places were closed so our timing wasn’t the best for really getting a feel for the towns. If you’re headed to Lake Iseo, it’s worth bearing in mind that Mondays are on the quieter side since that may affect your planning. During our journey from Venice to Milan, Verona was a stop for us en route to our hotel. In fact, we’d considered Verona as our home base for our three extra nights in Northern Italy but decided on Erbusco after discovering L’Albereta. Just hearing about Verona had me daydreaming about a romantic, quaint city but honestly, I really didn’t know what to expect from the city as a whole. After visiting Verona, I can see how the city warrants a few days to enjoy and explore. In addition to being a great city unto itself, it’s also an incredible home base for anyone wanting to explore nearby cities as well. Lake Garda is a short drive, plus Venice is only about an hour’s drive. Brescia, Padua, and other small towns are fairly close, and there are options for wine tasting nearby for those looking for less trafficked wine areas in Italy (think Prosecco, Amarone & Franciacorta tastings). Verona is home to a cool medieval old town, with a 1st century Roman Amphitheatre at its center which hosts events and concerts. How did I not know about this going in?! The tale of Romeo and Juliet overshadows the other captivating elements of Verona – a gorgeous, colorful town that brings a very modern twist to a medieval area. The shops near the main square bring high-end flair with a mashup of all of Italy’s most famous designers sharing a common thoroughfare (mostly pedestrianized, to make it easier for lazy window shopping). The main square in Verona is enormous, so spend some time meandering and taking it all in. Being that Verona was a stop for us from Venice to Milan, we had just a couple of hours to take it all in, not nearly long enough to really absorb what Verona has to offer, but long enough to realize that it has plenty for a few nights’ stay. For a drawn-out lunch, find a restaurant along the main square to take in the people watching and beautiful facades. Sitting just a thirty minute drive from L’Albereta is the town of Bergamo, an easy city for a quick day trip from Erbusco. Scott had been to Bergamo as a child but his memory of it was thin. I had high hopes when it came to Bergamo, and I wasn’t going to be this-close to the city and not visit. So, off we went, zipping down the motorway and making our way to the city of Bergamo. As an aside, if you’re driving be sure to keep cash on you. You’ll have to pay every time you use a motorway based on the distance driven. You’ll collect a ticket each time you enter a motorway and then pay each time you exit based on the information on your ticket. No credit cards accepted so be prepared! Bergamo has two sides to it (well, two elevations, really), but the old town, the Cittá Alta, is the real draw. As you may have figured out by the name, the old city is elevated, so visitors reach the old town on foot or by funicular (a few euros each way), which drops you off in the picturesque old town. Our experience in Bergamo was mixed, but I don’t want to downplay the beauty of the city. For those that love architecture and the splendor of churches, Bergamo has that in spades. Piazza Duomo is the main square that houses the city’s most famous monuments. The cathedral, bishop’s palace, and baptistry are all steps from each other. The city also offers wifi throughout the majority of the old town, which is an impressive addition. The mixed part of our experience came from our lunch foray. We were excited for a luxurious drawn out lunch, but didn’t anticipate it being quite so drawn out. After waiting an hour and a half for our food, we decided to cut our meal short, and left without ever getting our main courses. We paid for what we had eaten, and felt terrible leaving, which tainted the day a bit (I’ve never ever done that before, but it got the point of being ridiculous). Besides the architecture and medieval feel, Bergamo is famous for one other thing: polenta. Seriously, every restaurant serves up some incarnation of polenta, and that extends to their desserts. To make up for the lack of lunch and my post-lunch guilt, we made it a mission to get a sweet treat for the road. If you’re a dessert lover (hell, even if you’re not a dessert lover! ), you have to try Bergamo’s famous Polenta e Osei, a cake made to look like polenta. It’s a local specialty and it’s really, really good if you’re up for something that’s not skimping on the sugar! Italy is famed for its red wines, and many lovers of bubbly are fans of Prosecco that hails from the Veneto region in Northern Italy. Ask people outside of Italy about Franciacorta and you’ll likely be met with blank stares. To be honest, even when we pulled into Erbusco I didn’t know about Franciacorta; I simply knew that we were nestled into a stunning vineyard landscape. Franciacorta is a sparkling wine produced in the Lombardy region in a section of the province of Brescia. It’s produced using the same method as champagne (the ‘Traditional Method’) – a different process from Prosecco – and is Italy’s more exclusive, high-end product for sparkling (i.e. if you went to Fashion Week in Milan, you’d likely see this being poured). If you’re curious about the differences between Prosecco and Franciacorta, VinePair gives a great run down for better understanding the variance in production methods. If you’re staying in Brescia like we were (or somewhere nearby between Venice and Milan), a day of wine tasting is a perfect way to spend a day in the region. Since we were visiting the region on a bit of a whim, we didn’t coordinate tastings in advance. If Franciacorta is on your radar, you must book your tastings in advance. Much like is the case when wine tasting in La Rioja in Spain, tastings include tours so it’s not a matter of dropping in, taking a sip and buying a bottle that tickles your fancy. Here it’s about showcasing the process and then sampling an array of the wines produced with a new appreciation for the methodology. The Strada del Vino Franciacorta, the Franciacorta Wine Route, has a huge range of wineries that could be part of a wine tour. Keep in mind that English-speaking tours are fewer and farther between so you’ll want to map those accordingly if your Italian skills are suspect (like mine). We spent an afternoon tasting at Ricci Curbastro, a farm estate set in Capriolo, about 10 minutes’ driving from L’Albereta Hotel. Franciacorta began with about 10 producers initially (Ricci Curbastro being part of the pioneering lot) and has now evolved into 120 producers bottling their own bubbly. The estate houses a museum that’s been curated by the family, showcasing a range of tools and items that have been involved in the evolution of wine making in the region. We’ve done our fair share of wine tasting in the past few years (wine tasting on the Peljesac Peninsula in Croatia, wine tasting in La Rioja, wine tasting in the Cape Winelands, and more), but I’ve never been on a proper champagne tasting and tour. Even if you’re not a huge lover of sparkling wines, learning about the method is pretty spectacular, and we were lucky enough to discover more about the behind-the-scenes production of Franciacorta at Ricci Curbastro. Their 26-hectare family owned estate produces 250,000 bottles per year, about 75% Franciacorta, with the remaining 25% split between a Curtefranca red (a Bordeaux-style blend) and Sebino, a white blend. We finished our tour with a tasting of four wines – three sparkling, plus their red. Sparkling wines are generally not my favorites but at the very least I learned much more about which sparkling I prefer, how to better understand brut vs. dry (I mean, do you really know what that means when you order it or am I the only one that is a little oblivious with that? ), and how to better taste bubbly to really appreciate it. All in all, I’d call it a sparkling success. For an unexpected add-on, our journey from Venice to Milan was successful, even more so that we had anticipated. We absolutely adored L’Albereta as a home base and appreciated the quiet luxury of its location. For so many travelers visiting Italy, a short list gets narrowed down to the hotspots for a trip: Rome, Florence (maybe including the broader region of Tuscany), Venice, the Amalfi Coast. 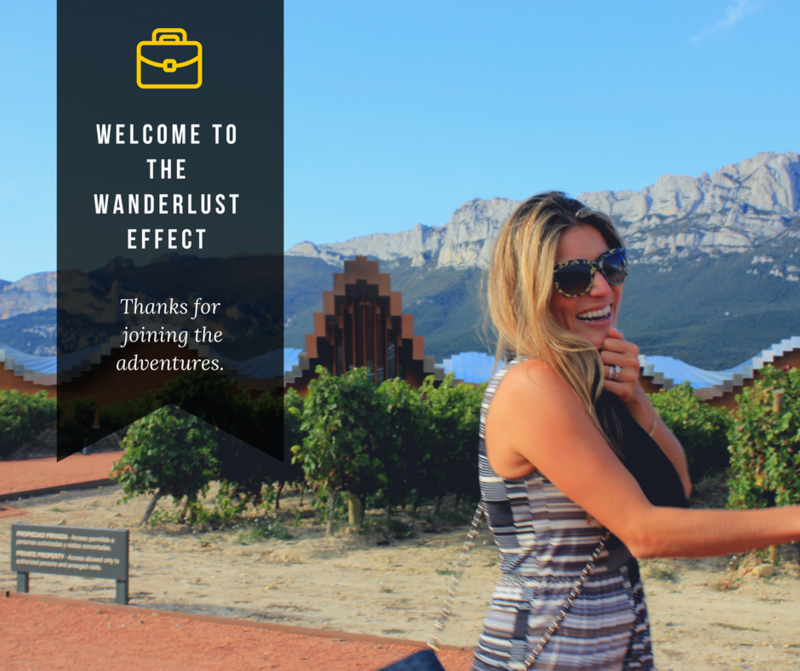 No doubt, those areas are all spectacular and have gained fame for a reason, but there’s so much genuine flavor and authenticity to be found by taking the time to visit the smaller towns and second cities that compose this gorgeous country. If anything, this unexpected journey inspired more drives for us in the future; more slow road trips that allow us to explore unhurriedly and absorb all of the beauty held in even the tiniest of corners. For the record, the convertible didn’t hurt. Anyone else explored around these towns in Northern Italy or tasted along the Franciacorta wine route?